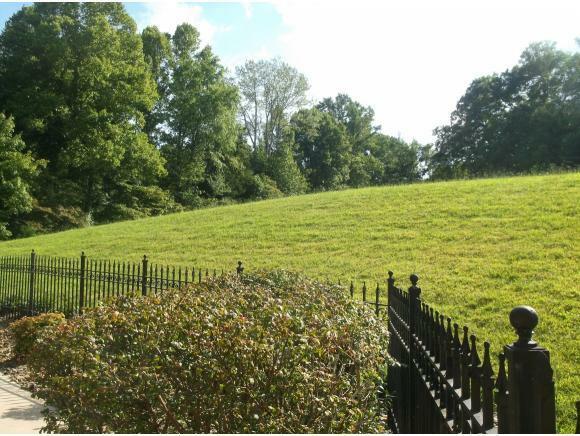 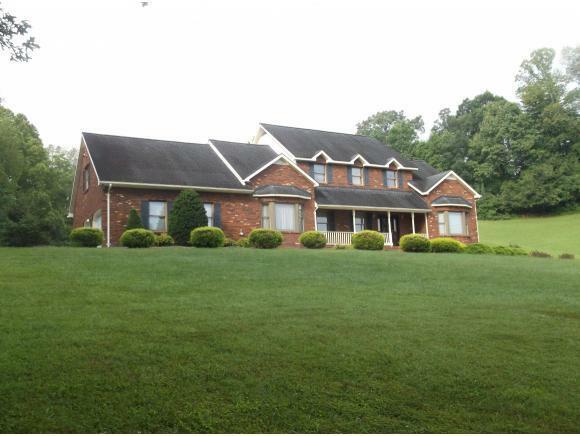 782 Quail Hollow Drive, Elizabethton, TN.| MLS# 410912 | Realty Sales and Rentals LLC is a discount real estate company servicing Northeast Tennessee in residential homes, land, commercial and multifamily apartment sales and property management rentals offering negotiable commissions and outstanding service. 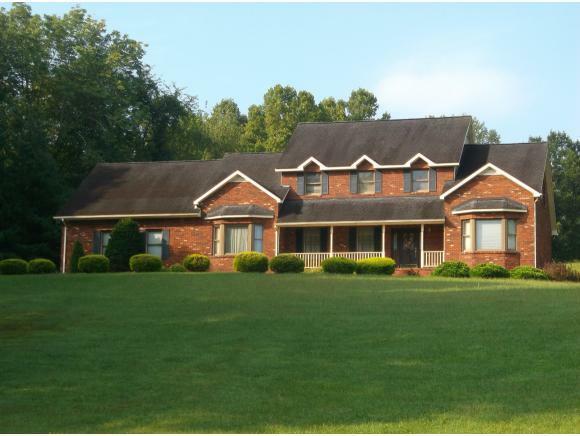 POSSIBLE LEASE-LEASE PURCHASE..CALL AGENT FOR DETAILS...This home custom designed and built by owner.Finished and unfinished square footage measuring over 6, 000 square ft under roof...WHAT A VALUE! Home situated on apx. 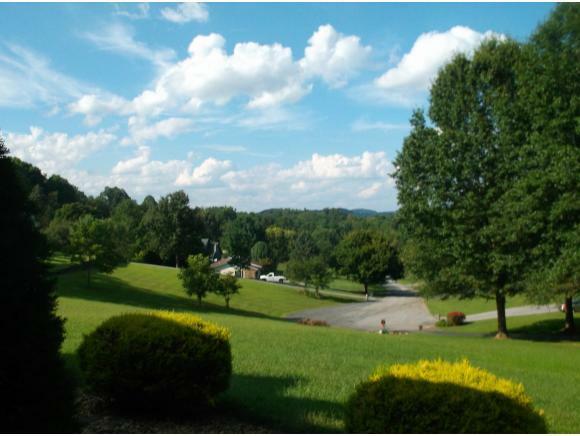 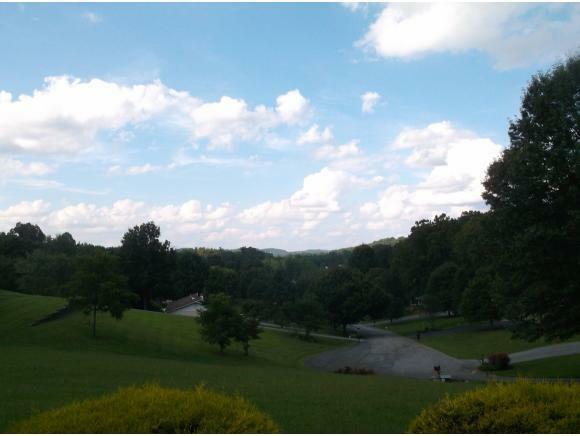 3.71 acres-private setting-tree lined driveway and quite cul-de-sac living with magnificent mountain views. 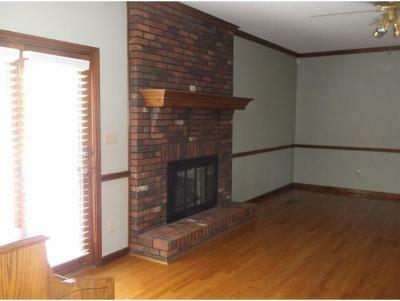 House has two sets of beautiful wooden stairs leading to the upstairs. One from front entrance and second from butlers entrance- kitchen area to upstairs game room-private office- study--library-craft room-home office or make it what you want. The large 18x36 heated-salt filtered pool with rod iron fencing gives way to private back yard and patio. 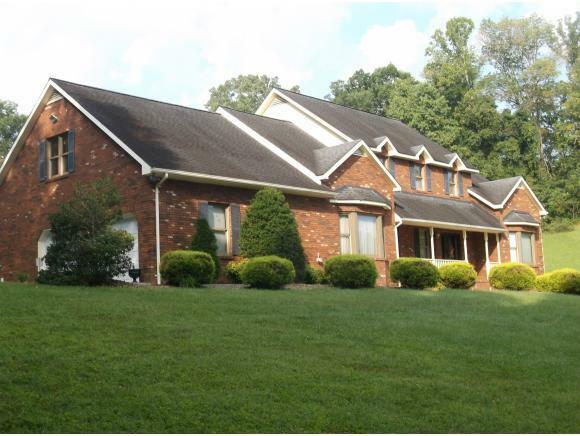 Home offers large rooms with main level master-formal living room and dinning room great room with fireplace-tall ceilings-massive stained crown molding, very spacious eat in kitchen with granite counter tops-custom wood cabinetry over sized bar- breakfast nook and pantry area. 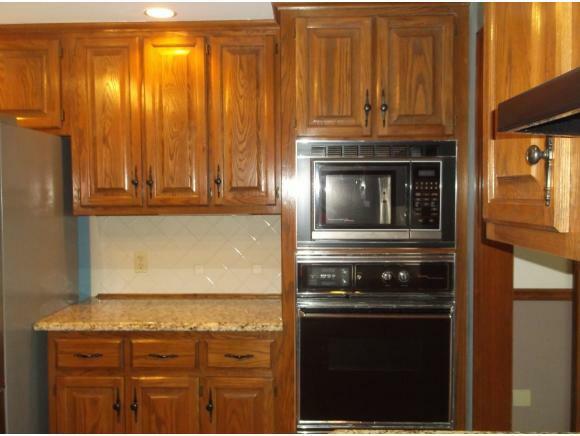 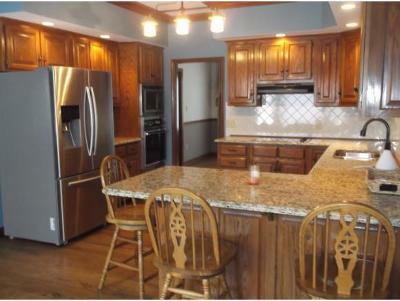 Hardwood flooring flows through out the 5 bedroom 4 bath home. 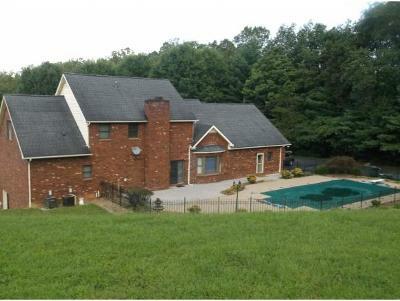 Over sized garage, and full basement. 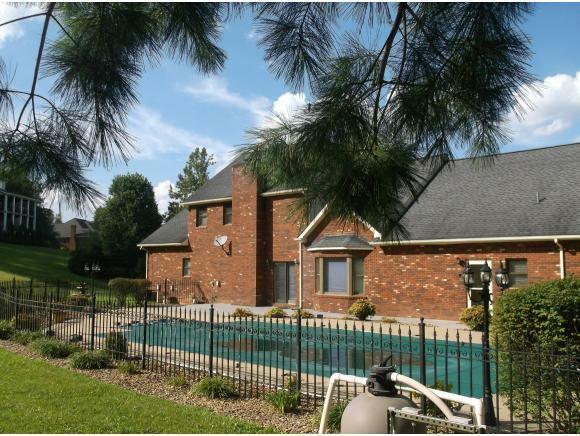 This is a very serene neighborhood, with duck pond entrance-Clubhouse with pool and tennis courts. Located between J.C. and Elizabethton. 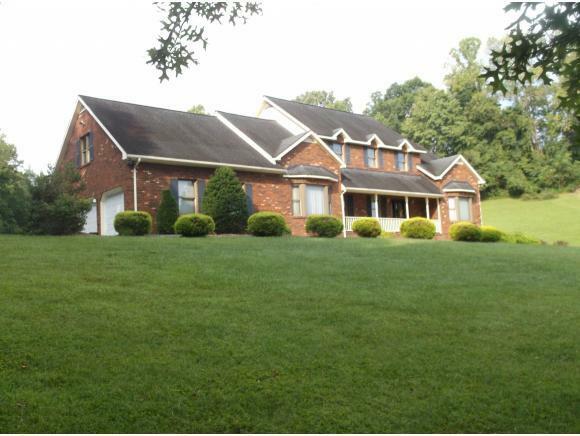 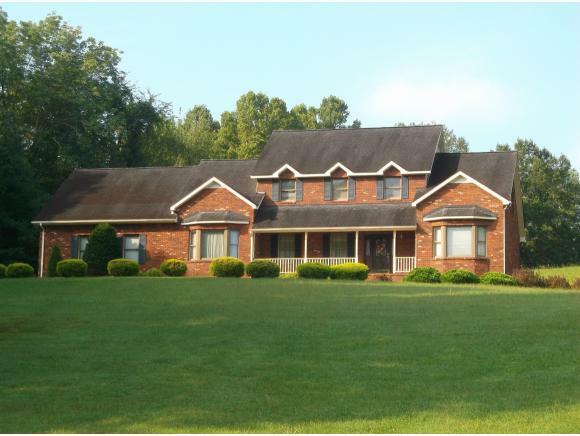 Minutes from interstate access-hiking-shopping-Watagua lake- and much more.